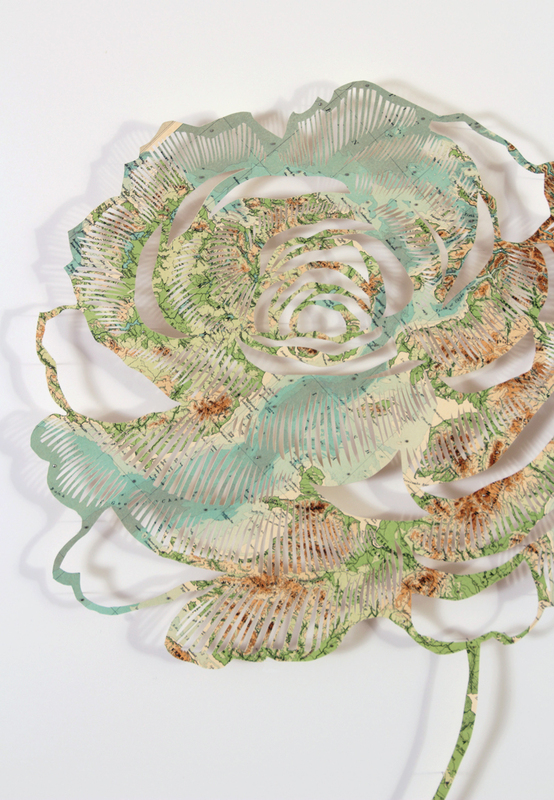 English Rose, hand cut Topographical map of Great Britain, 70 cm H x 55 cm wide (frame size). 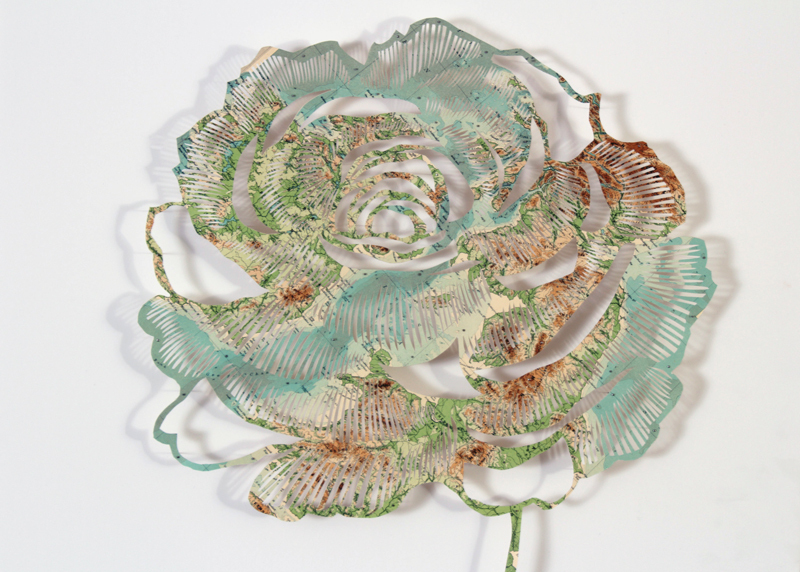 I love the notion of the English rose, that fleeting beauty of the rose, so tender and delicate. 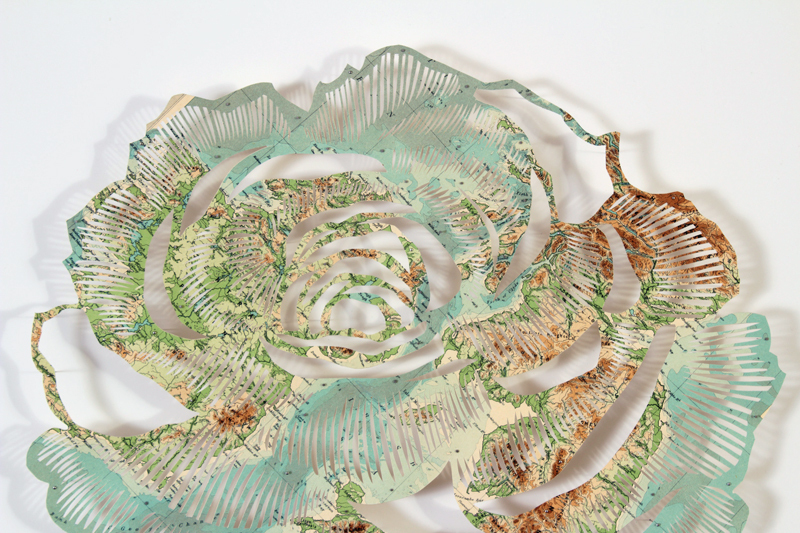 For this piece I used a vintage topographical map of Great Britain. The beautiful contours forming the folds and petals of the rose.